Owen joins the Development team here at Intergage and you may speak to him if you need website support in the future. We're super happy to have him aboard. I sat down with Owen to do a quick Q & A to let you get to know him better. Usually hanging out with good friends either in town or somewhere new. I try to visit new places as often as I can, usually going for a day trip either by train or by car, most recently I visited Brighton which I loved and already planning a day to go back. If you had to eat the same thing every day for the rest of your life, what would it be? As most people would say, pizza. The reason why I would pick pizza is because of the almost infinite amount of combinations you can have as the toppings so you would never get bored. But if I had to pick one combination of toppings it would be ham and pineapple, not only my favourite but you would get both savoury and sweet at the same time. What did you recently binge watch on Netflix? Over the last week I binged 'After Life' on Netflix, written and directed by Ricky Gervais. The series was both emotional and funny, would definitely recommend it. Where did you work before Intergage? Before Intergage I was working full time as a Chef working in many different kitchens in the local area. The best kitchen I worked in was The Dancing Moose, so good in fact I still do the odd shift each week for them as it was hard to say goodbye. What is your role at Intergage? I am part of the Development Team at Intergage, helping with the development of the CMS and the new iMS which is beginning to roll out and helping with general IT within the company. I'm also part of the Support Team at Intergage, helping to answer phone calls and e-mails about any issues our customers have. Also during my time as an Apprentice I am planning on becoming a fully-fledged, full-stack developer, gaining a high level of understanding of both front end and back end development. 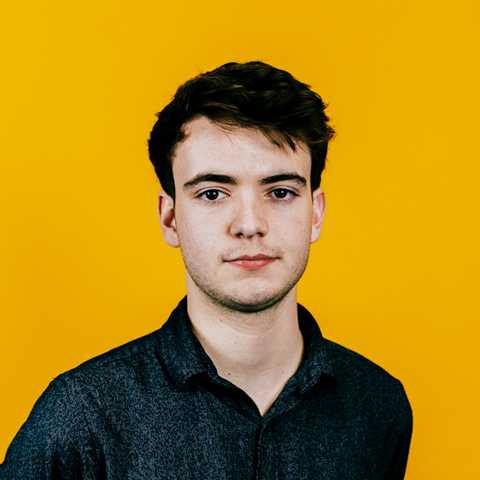 I wanted to learn about something that I was passionate about and being interested in computing since a young age I thought an apprenticeship would be the best option for me. What do you think of Intergage so far? Really enjoying it so far and I feel very welcome. Moving from a kitchen environment to an office environment was difficult for me at the start, as I was so use to an environment that was fast paced and often came with high levels of stress, but more I have acclimatised to a professional office environment, the more I comfortable I have felt. Currently I'm listening to the new Foals album 'Everything Not Saved Will Be Lost – Part 1' also bought the vinyl of the album when it came out. Really looking forward to seeing them live this summer. Besides my interest in computers and cooking, which are two of my many hobbies. I also enjoy swimming and cycling, which I try and do at least once a week.